"Queen Wilhelmina of Prussia, Bride's Title"
Doorn, Holland, Oct. 9 -- The bride of former Emperor Wilhelm , the Princess of Reuss , will assume the title "Queen Wilhelmina of Prussia,"  according to an announcement today during a preliminary reception to the bride and bridegroom at the castle. The former Kaiser was attired in his favorite uniform of a high admiral of the fleet, with his breast covered with a multitude of pre-war decorations and his left sleeve showing the mourning band. The Princess of Reuss appeared equally happy. She wore a toilette of state, with a dark veil slightly covering a jeweled diadem. The only member of the Hohenzollern family present was the ex-Emperor's fourth son, August Wilhelm , although the ceremonial was attended by a large number of German professors, former generals, court officials, and members of the nobility and their wives, including Count von Moltke , together with several Dutch professors and many members of the Dutch nobility. The castle was adorned with bouquets and garlands of flowers, which are arriving daily, the gift of admirers and friends of the ex-Emperor in many parts of the world. The registry book was signed by many hundreds of visitors. The book was placed in a room in the new part of the castle , which is designed after the architecture of the Middle Ages. It is the building commonly used as the offices of the former Emperor's guards. According to the present arrangements, the marriage ceremony on November 5  will occur in the chapel of the castle. This will be in harmony with Dutch law. Baron Schommel-Pennick van der Oye, the mayor of Doorn, will act as civil officer on the occasion and deliver the customary speech. The church ceremony will be conducted by the Rev. Dr. Vogel of Potsdam, former court chaplain, who will preach the sermon. By order of the former German monarch, no photographers or newspapermen will be allowed to attend the ceremony. 1. Kaiser Wilhelm II of Germany (1859-1941) was the last emperor of Germany. He was the son of Kaiser Friedrich III and his British-born wife, Princess Victoria (eldest child of Prince Albert and Queen Victoria). He was forced to abdicate and went into exile at the end of World War I. 2. 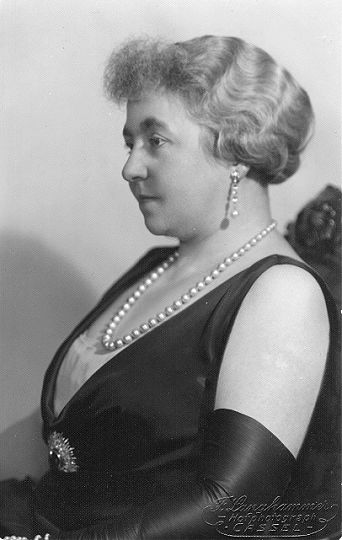 Princess Hermine of Reuss of Greiz (1887-1947) was the second wife of Kaiser Wilhelm II. She was a member of a Germany princely family, one of the daughters of Heinrich XXII, Prince Reuss of Greiz and Princess Ida of Schaumberg-Lippe. Like her husband-to-be, Hermine was a widow; she had five children with her first husband, Prince Johann of Schönaich-Carolath. 3. Why "Queen Wilhelmina of Prussia" and not "Queen Hermine of Prussia"? That's an extremely good question. This newspaper article is sourced from the Associated Press wire, and I have a feeling it's an error. I've seen some uses of "Queen Hermine" to refer to the kaiser's second bride -- even though her husband had abdicated all of his royal titles before they married -- but never "Queen Wilhelmina." 4. In November 1918, as World War I drew to a bloody close, Kaiser Wilhelm fled Germany for exile in the Netherlands. He bought a home, Huis Doorn, where he lived for the rest of his life; he was allowed to travel freely if he stayed close to home, but longer journeys required the approval of the government. But Wilhelm hadn't really been a "solitary exile" for that long. His first wife, Augusta Viktoria of Schleswig-Holstein, died in April 1921. 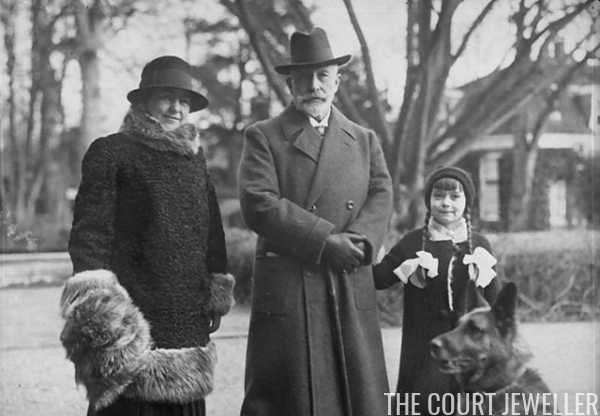 One of Hermine's sons sent the exiled emperor a birthday card in January 1922, and Wilhelm responded by inviting both of them to visit him in the Netherlands. He and Hermine hit it off, and the rest is history. 5. Prince August Wilhelm of Prussia (1887-1949) was the fourth son of Kaiser Wilhelm II of Germany and Augusta Viktoria of Schleswig-Holstein. August Wilhelm and Hermine were actually contemporaries; he was less than a year older than his future stepmother. 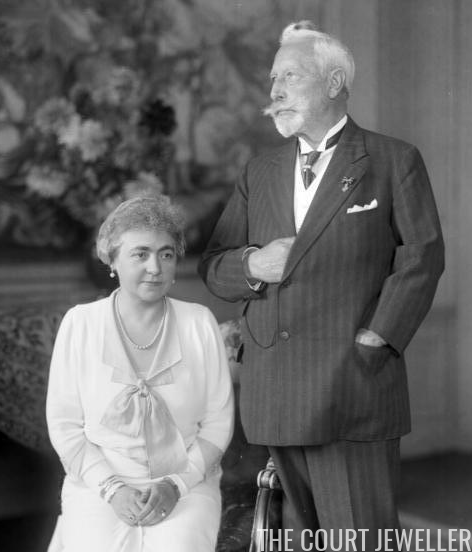 In 1922, August Wilhelm's marriage to his cousin, Princess Alexandra Victoria of Schleswig-Holstein, had recently ended in divorce. (The marriage allegedly failed, in part, because August Wilhelm was in love with his personal adjutant, Hans Georg von Mackensen.) His ex-wife remarried in January 1922. 6. Count Detlef von Moltke was one of Wilhelm II's adjutants. 7. Huis Doorn was more manor house than castle. It did have a castle-length legacy, however; it had been built and rebuilt several times since the ninth century. Shortly before Wilhelm purchased it, it had been owned by Dutch aristocrats. One of them, Baroness Ella van Heemstra, was the mother of the actress Audrey Hepburn. After World War II, the Dutch government seized the property, and today it is a museum and national heritage site. Wilhelm is buried in the mausoleum on the grounds. 8. The couple did marry at Doorn on November 5, 1922. According to newspaper reports, Hermine wore a diamond and pearl tiara from the Reuss family collection at the wedding.